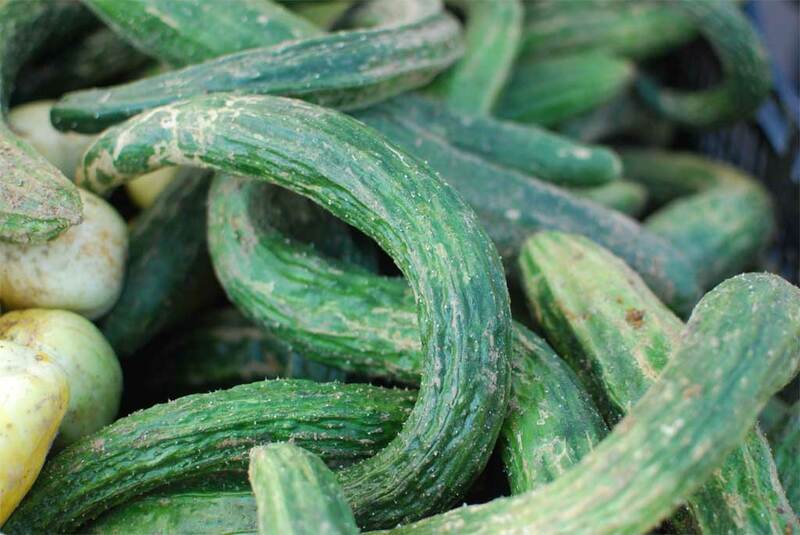 These long and twisted Asian cucumbers are covered with ridges and bumps, but the sign said that the skin is thin and soft and therefore the cucumbers don’t need peeling. I’d still slice it thinly if I were you, before tossing with a little rice wine vinegar, salt and pepper, maybe a touch of chili sauce. Saw a TV show today where the chef thinly sliced cukes, put in chunked heirloom tomatoes in with basil infused olive oil, and croutons. Added balsamic vinagrete that was reduced down to a syrup. A nice summer salad! !